Rushern Baker says the public has legitimate concerns about student safety but that he has confidence in the county's schools CEO, Kevin Maxwell. GREENBELT, Md. 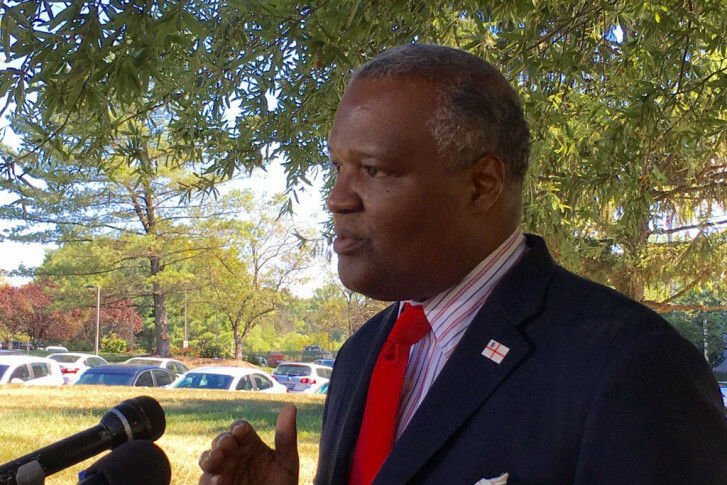 — Prince George’s County Executive Rushern Baker fought for authority over the school system and now that he’s got it, he’s facing questions about the way his appointee, schools CEO Kevin Maxwell, is handling student safety. Baker says under Maxwell’s leadership, there has been academic progress. “But if people don’t feel safe sending their children to our schools, then none of that matters” Baker said. Baker cited a string of cases, including one involving a former aide accused of sexual abuse, Head Start staff members who humiliated students or used corporal punishment and, most recently, a bus aide who allegedly molested a 4-year-old. But Baker was quick to say he doesn’t think Maxwell should go. Instead he put the blame on a sense within the system that reporting abuse or neglect could lead to job loss. Does that mean Maxwell doesn’t have the trust of his own staff? Baker said he doesn’t think so. “There’s a culture here that we have to change — I think he’s the person to do it — but I expect it to be done,” he said. Talking to reporters in Greenbelt, Maryland, Baker said he won’t tell Maxwell who to hire and fire, but he said he’s told the CEO the public has legitimate safety concerns. Baker said he’s told Maxwell in meetings that safety questions must be addressed. “We put you in charge to answer those —I put you in charge to answer those — and we’re going to hold you accountable, just like people should hold me accountable,” Baker said he told Maxwell. Tuesday afternoon, the father of a 4-year-old boy with special needs who was reportedly molested by an aide while on the bus said he has no faith in Maxwell’s ability to address the issues surrounding student safety. The parent, who didn’t want to be identified to protect his son, told reporters, “He don’t care about nobody obviously but himself. He don’t care about our kids. If he did, he would be doing something about it” he said, citing the reports of abuse.